This man was a mountain ascetic before he became a Soto Zen monk, turning into a Tengu after death. 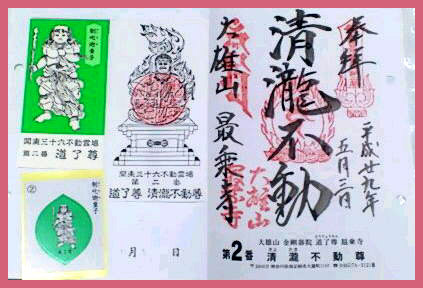 Chapter Four of this book, entitled “The Cult of Doryo Daigongen: Daiyuzan and Soto Prayer Temples” forces us to overcome the traditional boundaries of Buddhist scholarship to examine the emergence of a popular cult and its links with the mountain ascetics and Shinto. 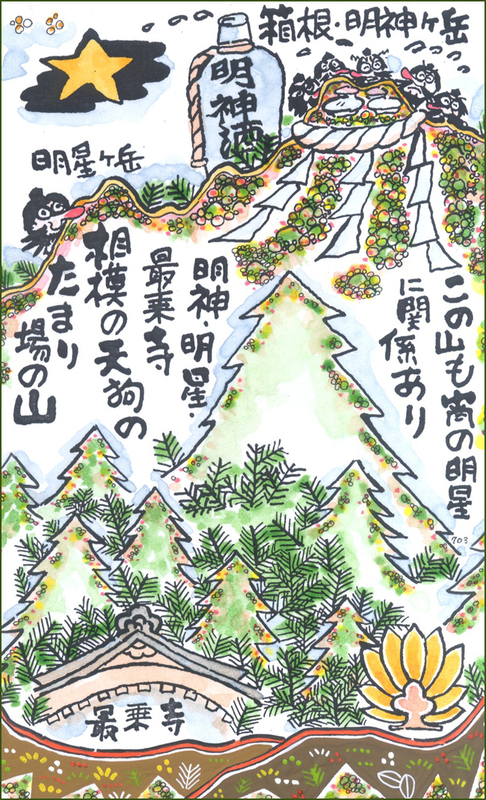 The “great avatar Doryo (Douryou)” 道了大権現 had been a mountain ascetic before becoming a Soto Zen monk, and was eventually appointed as head cook and administrator at Daiyūzan Temple 大雄山 (Kanagawa Prefecture). However, upon his death in 1411 AD, he vowed to become the guardian of the monastery and he is believed to have metamorphosed into a TENGU 天狗. Here, the legendary anecdote leads to a detailed analysis of how since the 17th century this became linked to the mass production and sale of the Doryo (Douryou) talisman. 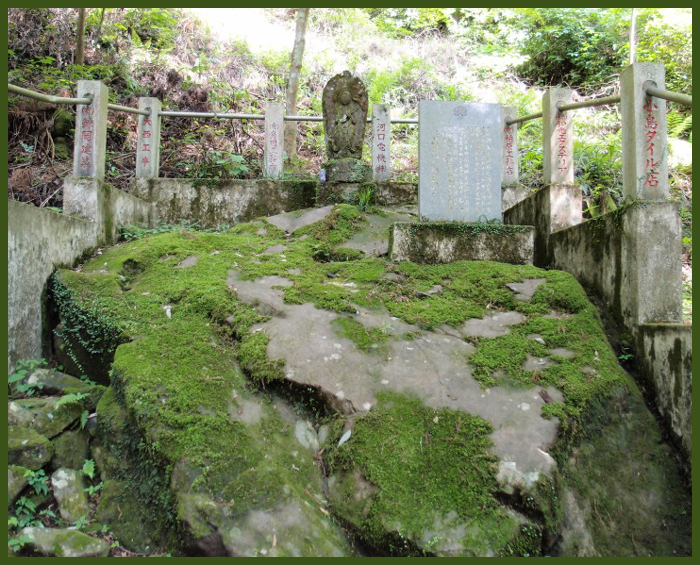 Another related phenomenon is that of pilgrimage to this sacred site (Daiyūzan Temple), highlighted through the concrete evidence provided by stone markers. It allows the author to determine that these pilgrimages “took off from the mid-1860s. a young monk came to settle upon this mountain many centuries ago, he was determined to build a temple there but soon found that he could not do it on his own. This is when he met the long nosed, winged, tengu named Doriyo. After receiving the teachings of the monk, Doriyo was so moved that he vowed to help build Saijoji Temple with his magical feats of strength and energy. Doriyo then lifted a huge boulder and threw it to the center of the clearing stating this will be the foundation. Today if you visit this monastery you will see the boulder wrapped in protective Shinto ropes sitting in the middle of the compound. Nearby there is a well, with water that is said to have miraculous healing powers. People come from all over Japan to fill their plastic jugs with this water, and take it home with them. 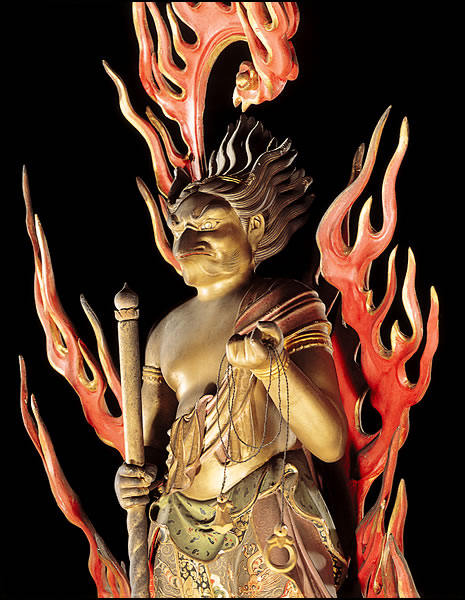 At the top of the compound there is a shrine for Doriyo where it becomes clear that he has been elevated from Tengu status to that of Bodhisattva (Bosatsu) status. The monks referred to him as Doriyo Bosatsu. Giant Getta (wooden slippers) adorn the outside of the shrine. Some were as big as a golf cart. (or so some legends say). Tengu no tamariba 天狗のたまり場 gathering place of many local Tengu. They came here night after night to drink and be merry. The sound of their dancing to flutes and drums could be heard way down the valley. 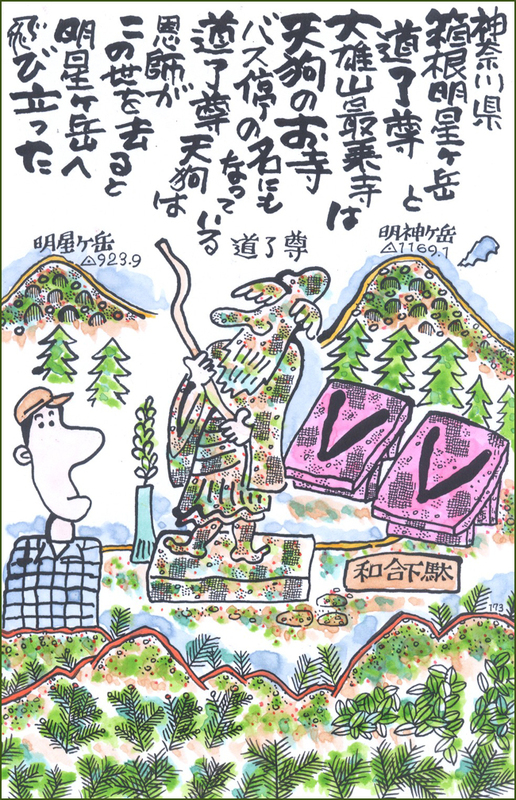 Once a farmer named ご八 Gohachi living at the foot of Myojogadake went to have a bath and never came back. The villagers went looking for him but never found him. Three years later they called a priest and wanted to have a memorial service held for him. During their preparations Gohachi came back to the village. When they asked where he had been all the time, he said he spent only three days and nights drinking with the Tengu. That was all he remembered. Saijoji, located in southern Kanagawa Prefecture, is an amazing temple that even most Japanese have never heard of. The temple was founded in 1394 by 了庵 Ryoan Emyo Zenji, former head priest of Sojiji, one of the two head temples of the Soto Zen Buddhism Sect. Currently the temple complex consists of more than 30 halls and temple buildings. Many giant cedars, planted over 500 years ago, line the road leading to the temple and tower over the compound itself. The atmosphere is similar to that of Nikko's Toshogu, but without the crowds of people. There are many legends associated with the temple. One of the most interesting occurred in 1411, when Emyo Zenji passed away. His most trusted disciple, Doryo Myokaku, was devastated. As a result, Doryo Myokaku magically transformed and flew off into the mountains where he became a Bodhisattva, protector of the temple and its followers. He took the form of a tengu. All seasons at Saijoji are lovely, but 10,000 hydrangea bushes lining the road to the temple make June especially lovely. The autumn colors are equally impressive. CLICK for more photos of the Geta 下駄 collection ! Since then, many make the pilgrimage to visit the 'Goshin-den', a hall built to honor 'Doryo-son'. 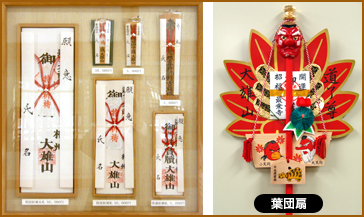 Followers have donated metal geta sandals in his honor (as tengu usually wear geta). Some of them are gigantic, and it is said that if a pregnant woman walks under the largest pair, she will have an easy delivery. At the temple gate are statues of the two Tengu, big and small 大天狗 and 小天狗. enshrines three statues, Shaka Nyorai and two attendants, Monju Bosatsu and Fugen Bosatsu. It is a gorgeous building and visitors are welcome to enter (sans shoes) if there are no ceremonies taking place inside. The oldest structure within the compound is a pagoda, built in 1863.
. . . CLICK here for Photos of the temple! Popular understanding of Zen Buddhism typically involves a stereotyped image of isolated individuals in meditation, contemplating nothingness. This book presents the "other side of Zen," by examining the movement's explosive growth during the Tokugawa period (1600-1867) in Japan and by shedding light on the broader Japanese religious landscape during the era. Using newly-discovered manuscripts, Duncan Ryuken Williams argues that the success of Soto Zen was due neither to what is most often associated with the sect, Zen meditation, nor to the teachings of its medieval founder Dogen, but rather to the social benefits it conveyed. Zen Buddhism promised followers many tangible and attractive rewards, including the bestowal of such perquisites as healing, rain-making, and fire protection, as well as "funerary Zen" rites that assured salvation in the next world. Zen temples also provided for the orderly registration of the entire Japanese populace, as ordered by the Tokugawa government, which led to stable parish membership. Williams investigates both the sect's distinctive religious and ritual practices and its nonsectarian participation in broader currents of Japanese life. 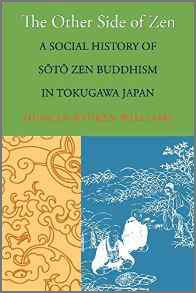 While much previous work on the subject has consisted of passages on great medieval Zen masters and their thoughts strung together and then published as "the history of Zen," Williams' work is based on care of examination of archival sources including temple logbooks, prayer and funerary manuals, death registries, miracle tales of popular Buddhist deities, secret initiation papers, villagers' diaries, and fund-raising donor lists.